A bail bond seems like such a simple transaction. But it’s really much more than that. There are many rules and regulations that come with signing a bond for someone else. It’s a good idea to become aware of these so you don’t find yourself in an unfavorable situation when bailing a loved one out of jail. 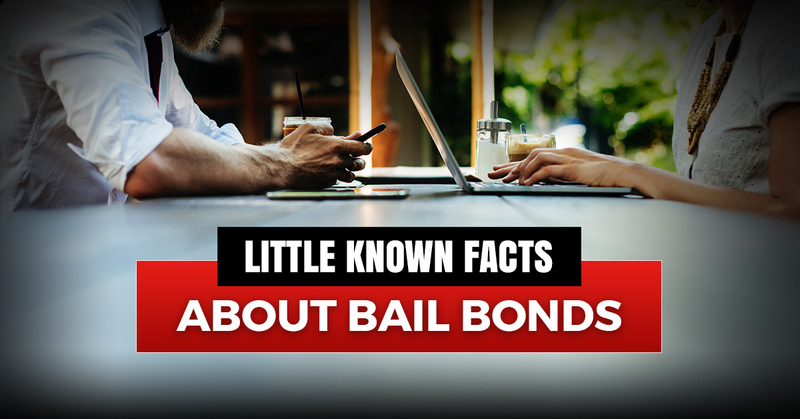 Keep reading for some little-known facts about bail bonds. Bail bonds aren’t accessible everywhere – Interestingly, privatized lending services for bail bonds are restricted in multiple states. If you happen to be in locations such as Wisconsin, Kentucky, and Nebraska, you will have to supply your own funds. Those in New York City can rest easy, though, as bail bonds are accepted. Bail money is not always required – Say a relative or friend was arrested on a small misdemeanor charge. You want to be proactive and get them out of jail as quickly as possible, so you call the local bail bonds agency. It’s important to know that he or she may not need bail money. A judge may simply order the person to be released on their own recognizance. Still, the accused must appear in court to avoid additional consequences. More is involved besides attending the court date – Let’s look at a hypothetical. You sign your own collateral for someone’s bail bond. They get out of jail that day and attend their court date. The bond process is over now, right? Not necessarily. The accused must comply with all court orders, as well as any regulations set by the bail bond company. For example, maybe the court ordered your loved one to enroll in a drug education program. On the other hand, maybe the judge required him or her to stay in the state for a certain period of time. If they fail to hold up their end of the bargain for whatever reason, you could lose your collateral. That’s certainly one way to jeopardize a lifelong relationship. A bail bond agent has power – Any bail bonds service is an independently-run operation. By no means is it tied to the government. That said, a bail bondsman has the right to pursue their clients across state borders. On top of that, a bondsman can freely break and enter a client’s home without a warrant. Few countries honor bail bonds – The U.S. and The Philippines are the only countries in the world to have a commercial bail system in place. Why Contact ABC Bail Bonds? The bail bonds agency you work with should be fast, confidential, and friendly. At ABC Bail Bonds, not only do we meet those criteria, but we go above and beyond. We are proud to be a third generation business with over 50 years of experience. Our bondsmen will always treat your matter with discretion and confidentiality, regardless of the situation. If you still aren’t completely sure how the bail process works, please don’t hesitate to get in touch with our licensed and trained team. Call ABC Bail Bonds today.